As the Disney Food Blog totes, "food is a theme park." The Disney resorts are known to most as great places for family vacations, but what many don't realize is that there is an abundance of fantastic dining options available, from inside the parks to the adjoining resorts. In my mind, eating a subpar hamburger isn't an option with all of the fanastic options. The best part is that for some of my favorites, you don't even have to enter a theme park. No ticket necessary for this Disney Dream Meal! 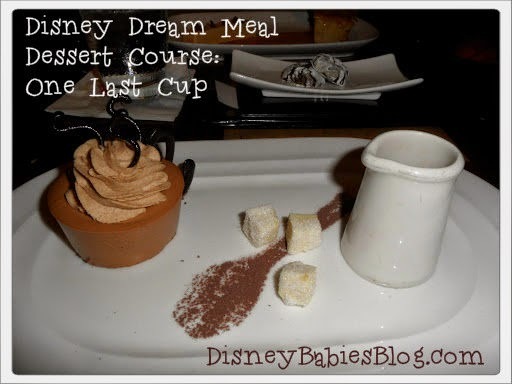 Disney Dream Meal - Resort Restaurants!! Sanaa at Kidani Village, the DVC resort or second building at the Animal Kingdom Lodge, is a fantastic combo of Indian and African cuisine. One of the must-haves on the menu is the bread service with a variety of accompaniments. This is a great way to test out new flavors and foods that may seem too exotic or scary. 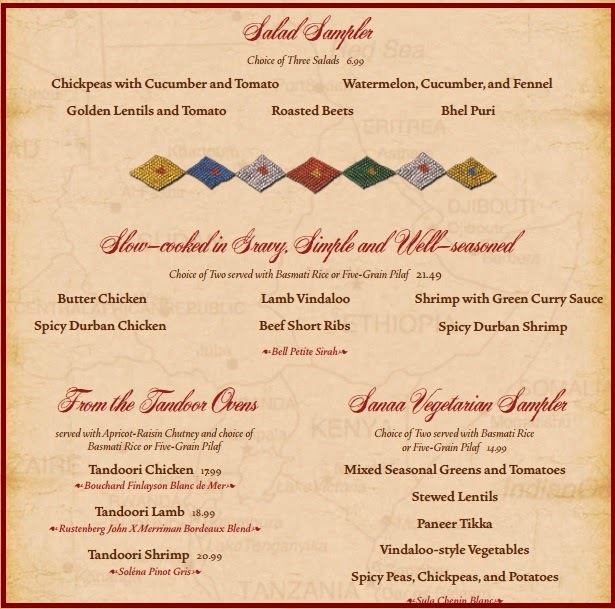 You can choose 5 now to really try a potentially new cuisine and distinct African and Indian inspired flavors! Time to leave Kidani Village and head over to the main house - Jambo House - at the Animal Kingdom Lodge. This buffet became an instant favorite when we visited it in November. There were dozens foods to try - it was hard not to sample everything! I'm going to head back over to Sanaa and check out the sample menus - while you can opt for one entree, I really prefer the mix and match options! It's actually hard to decide and/or not to order EVERYTHING! The salad sampler is great - I can't get enough roasted beets, as weird as that may be. The butter chicken if fabulous - seriously, even my 4 year old asks for butter chicken on a regular basis. But, while I'm not a vegetarian, I love having good options - the stewed lentils and paneer tikka are definitely great options! Cheese in tomato sauce? I'm in! After dinner, head back to Jambo House for a dessert at Jiko. While they bring out cookies to clear the palette at the end of the meal, I can rarely resist a good chocolate dessert after a special meal. Jiko had a clear winner (and honestly, it's only a clear winner over the zebra domes and Kenyan coffee tarts because I don't have a picture of them - those are incredible as well). The One Last Cup - which doesn't appear to be on the menu right now - had a Tanzanian Chocolate Kenyan Coffee Mousse with a warm chocolate dipping sauce. Oh my goodness, so delicious. One of my all-time favorite Disney restaurants is unfortunately closing at the end of September, 2014. 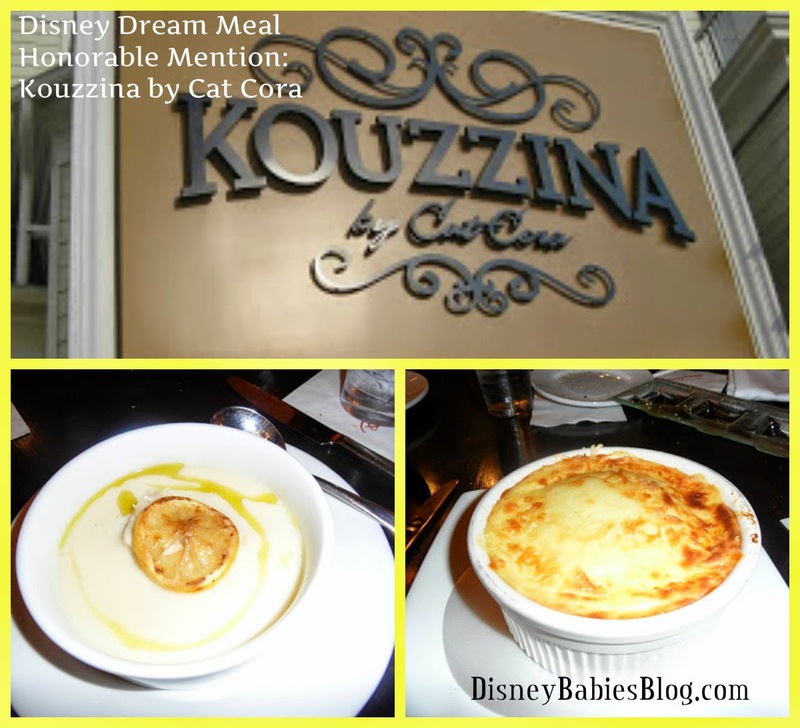 Kouzzina by Cat Cora, located at Disney's Boardwalk, has my favorite soup - Avgolomeno, a traditional Greek chicken and lemon soup with orzo. I have tried copying the recipe at home and ordered it at every Greek restaurant near my house - and none of it comes close. Second on that menu is the Moussaka - a Greek lasagna covered in cheesy bechamel (creamy deliciousness). That's so decadent that I never even consider ordered it when I'm not on vacation, but at Kouzzina, it's phenominal. I am sad that I'll never get to experience it again! These sound like an amazing meal! We have never tried any of this but it seems like we really should! Thanks for sharing this! Yum, yum, yum! That all looks so good, especially the dessert! Do you take the kids to Sanaa with you, or do you think it's more of an adult atmosphere? We'll be trying Boma for the first time this fall - looking forward to sampling all the goodies! LOVE your choices! 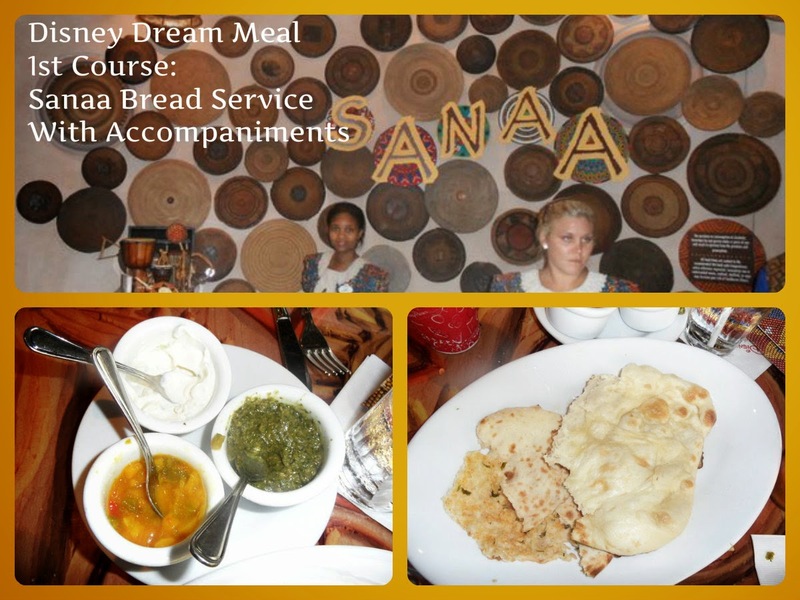 We stayed at AKL last summer and Sanaa has become my new favorite place to eat.The bread service is a meal in and of itself. Do you have a favorite dipping sauce? A lot more stuff for the non-food adventurous like myself. But it sounds good. Thanks for sharing. I honestly can't remember a favorite dipping sauce - I do love to try different ones every time!! Sanaa is definitely a regular for us! 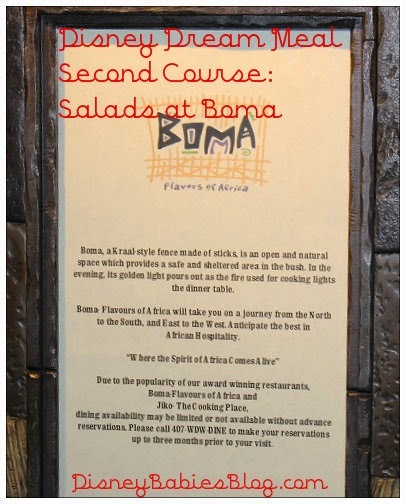 boma was suprisingly delicious - I'm usually not a huge buffet fan, but the food was fresh and there were SO many great options Hope you like it! We always take the kids to Sanaa! If you go for lunch or an early dinner (before dark), you can often request/get a table by the windows to watch the animals while you're eating! It's spectacular! Of the 3, kids are definitely welcome at Sanaa and Boma, but I would leave them at home for Jiko - to dark and fancy feeling (though, obviously they're allowed!). Thanks!! The food really is great - and I'm VERY picky with food - and addicted to Indian spices! I love your choices! Sanaa, Boma, and Jiko are some of our favorite restaurants. We had a coffee creme brûlée at Jiko a few years ago that I still dream about. And the Sanaa bread service is amazing! We had breakfast at Kouzzina but never dinner. I'm kinda sad that I will never get to. And I am going to miss their waffles! I've eaten at Boma before but not Sanaa. I loved all of the options that their buffet had available! It was a really good choice for dinner that time! Mmmm...it all sounds so good. Do your little ones all enjoy these dining experiences or would this be an adults only meal? I am addicted to the Boma salads! There are so many choices there that I normally never make it to the carving station. My favorite is the jicama salad. What is your favorite? Great ideas! I've only been to Boma out of these restaurants. I'd really like to try Jiko!